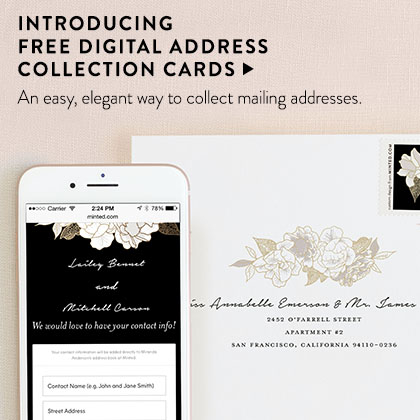 Minted is the exclusive online source of company stationery from independent designers. Choose from our modern or classic business stationery designs, accompanied by stunning embellishments. 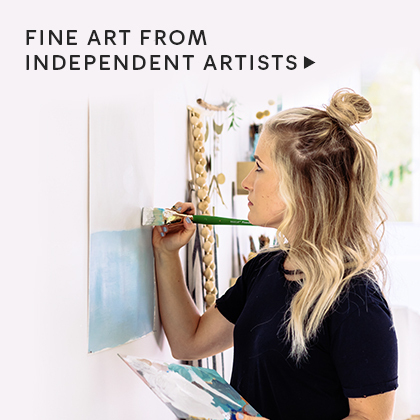 Professionals may completely customize Minted’s community-sourced designs. 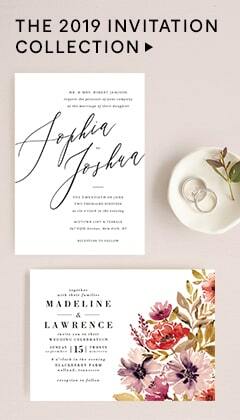 Customize the details of your stationery with name, number, or any details you wish. All business stationery sets are delivered in beautiful embossed white gift boxes. This chic packaging makes them perfect for professional gifting. Love a design, but for another purpose? The message on our business stationery can be changed to anything you wish. You can customize it for practically any purpose! 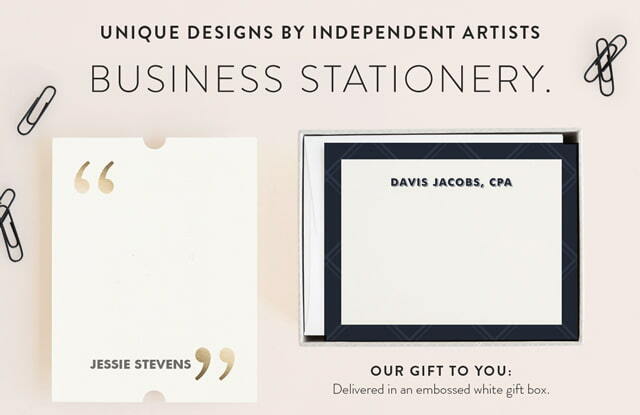 Minted business stationery sets are beautifully printed on your choice of two luxurious papers. Our Signature Paper is a 130lb thick and luxurious stock complimented by an off-white hue that Minted is known for. Or, our TripleThick Paper is of unmatched quality and weight, complimented by a creamy cotton texture. This luxurious stock is so thick it is unbendable and guaranteed to leave a great impression. 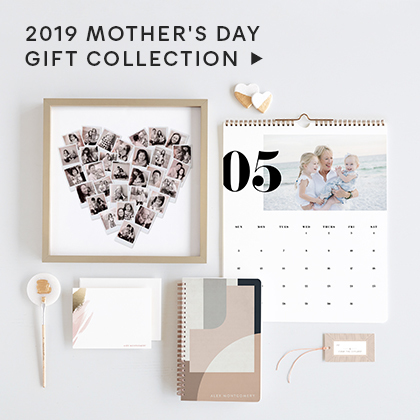 At Minted we go the extra mile to make your custom products everything you imagined. Our paper stock and inks are from the finest sources available and each of our designs starts its life as the work of an independent artist. Your dedicated designer can help with all manner of customization. We ensure that you have business stationery that is uniquely you, and your clients receive quality they can feel.